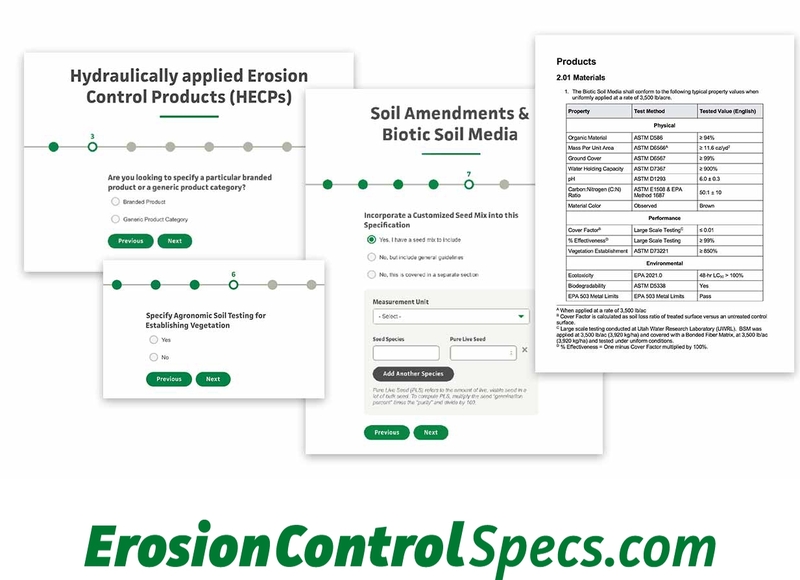 With the new Spec Builder™ from Profile, you can create erosion control and reclamation specifications in minutes. With intuitive step-by-step instructions, this free and easy-to-use online tool delivers customizable, always up-to-date specifications in editable Word files. Hydraulically applied Erosion Control Products (HECPs) — choose branded or non-proprietary categories of products. Soil testing and soil amendments — including Biotic Soil Media™, fertilizers and growth stimulants. Go to ErosionControlSpecs.com to see how easy it really is.